The Korean's box office's hot streak is showing no signs of slowing down after another weekend clocking in at over 3 million admissions (3.1). Popular new local films and an aggressive holdover have lifted the domestic market share to an impressive 76%. This weekend last year, when War of the Arrows opened, was itself no slouch with 2.85 million admissions and a 77% market share. Leading the pack again, but only just, was the third weekend of The Thieves' record-breaking run. It slowed about 40% and added another whopping 1,138,579 to its total which is well over the 9 million mark. It is set to become only the 6th Korean film to cross the 10 million threshold and it should achieve this on Wednesday, when grosses will be inflated due to a national holiday. The Grand Heist went up against the toughest competition imaginable but still managed to succeed as it raked in an enormous 961,805 admissions. Time will tell if it has legs but for the moment, it looks to be well on its way to profitability. 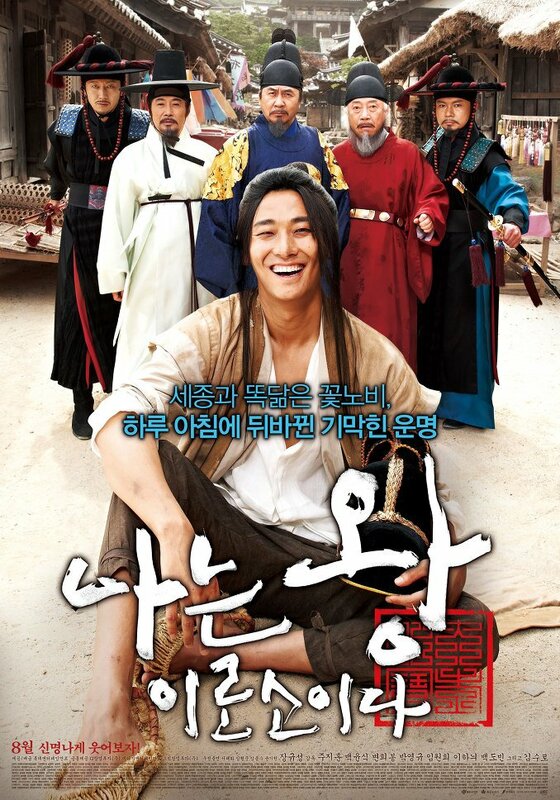 Another new Korean film opened at no. 3, but not only that, it was also a period comedy. Hard to say why I Am a King was programmed against The Grand Heist but the tactic did not succeed as it wound up with a mediocre 271,095. Only stellar word of mouth will save it from here on out and I have yet to hear any. The Dark Knight Rises took a significant beating from local offerings this weekend but its 240,450 take was enough to put it past the 6 million mark. No mean feat for a foreign film these days. Belgian animation Sammy's Adventures 2 was down 40% for 218,639 and should cross the 1 million mark on Monday. Ice Age 4 slowed significantly for 118,629 and its total, which will likely fall short of 2 million, will be seen as a disappointment. The Rain-starring pilot action film R2B will be hoping to top the charts next weekend but the buzz is not great and it may stumble against the competition. Total Recall is also opening but I daresay it will probably underwhelm.